As our previous customer’s already know, a ClearView replacement window is a great opportunity to improve your home on a budget. It offers less features than it’s big brother, the MountainView window, but offers customers on a budget an option to fit their needs. High Quality Vinyl windows are maintenance and worry free. They will not need to be painted, resealed, re glazed, or maintained in anyway. Stop wasting money on painters and handy-men trying to save old windows. 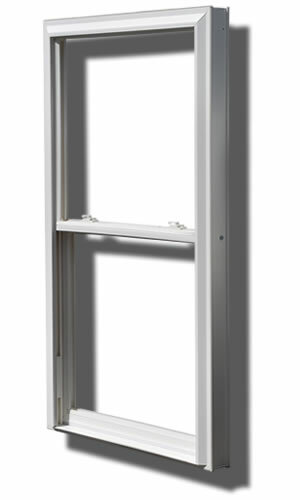 Our replacement window will take the hassle out of window maintenance. Many homeowners refuse to sit close to their windows in the winter because of bitter drafts. Our ClearView window offers an air-tight interlocking seal system that keeps you comfortable regardless of where you sit. Our windows feature a constant force balance system to insure easy of use sliding your windows up and down for years to come, and our intuitive tilt in top and bottom sashes make cleaning the outside of your windows a breeze. Home Remodeler Magazine states that a typical home owner can recoup up to 71% of their investment in vinyl replacement windows when they decide to sell their home.